Find out what alkaline water is exactly and how it can protect you from diseases here. RELATED: Alkaline vs Acidic: What’s The Difference? Water endures as one of the central components of maintaining a healthy lifestyle. Recent press around the benefits of alkaline water may have you wondering if you should try it out for yourself. Does it really provide the benefits stated in various press releases and advertising? Let’s cut through the hype and get a real understanding of how alkaline water can contribute to your overall health. What is it about alkaline water that makes it different from tap water or your favorite bottled water? It’s the molecular hydrogen content which, according to studies, has antioxidant benefits. The pH scale ranges from 0 (very acidic) to 14 (alkalized). Water typically registers a pH 7 rating, though any impurities present can push it into a higher acidic range. Meanwhile, the ideal range for alkaline water for drinking is pH 9.5. The lower in the scale, the more acidic the food or drink is. Lemons register a pH of two, while vinegar comes in at three. On the other end, milk of magnesia registers at around 10 or 11. All of these are safe for consumption, but would you really want to drink anything that tasted bitter or sour regularly? That’s why most alkalized water aims for pH 9.5. You get the benefits without the bitter taste which can come from the extreme ranges of the pH scale. An acidic body can become prone to diseases and infections since it creates an environment suitable for bacteria to thrive in. That’s why people are encouraged to alkalize their bodies, especially the digestive organs. On the other hand, too much alkalinity in the body can also be risky. This stems from the same logic as “too much of anything is bad”. But, it’s almost impossible to make your body too alkaline since so many of the foods that we eat are acidic. That’s why you should aim for drinking alkaline water in the recommended 9.5 pH range. Don’t overdo your alkaline water drinking. Since hydrogen water neutralizes acidity within the body, illnesses are prevented and controlled. Some of the more promising research around alkaline water has been how it promotes cardiovascular health. A 2016 research study showed promising results in participants drinking alkaline water after exercising. Drinking alkaline water keeps you from becoming dehydrated, and dehydration can cause cardiovascular strain. These hydration properties are one of the reasons many hold hydrogen water in high regard. There have also been some promising laboratory results about alkaline water and GERD. According to the study, normal bottled or tap water which has a pH level of 6.7 to 7.4 does not do anything to the pepsin inside the stomach. On the other hand, water with a pH level of at least 8.8 showed promising results. Pepsin Definition: Found only inside the stomach, this enzyme helps break down the proteins in food. Too much pepsin production may result in gastroesophageal reflux disease (GERD) which can damage the esophagus. Research continues into the potential of alkaline water in slowing the aging process. It is full of essential minerals like magnesium and calcium, which are important in keeping up good bone health. Aside from the bones, it could also promote better cognitive function. How can regular people go about exploring the potential of alkaline water? Alkalization occurs naturally to water when it passes over rocks while flowing through bodies of water, picking up the minerals they contain. Those consuming alkaline water regularly usually create it by using a water ionizer. It’s a machine used to raise the alkaline level in your water. Many of these home appliances attach directly to the water faucet in your kitchen. Some sit right on the counter while others go beneath the sink. The machine uses an electrical current to raise the pH level in water by ionizing it while infusing the water with minerals. You can also find portable containers on the market containing water filters but do keep in mind that they are not as powerful as electric water ionizer machines, so the benefits will be minimal. Tyent offers a wide range of water ionizers to browse. They also provide other products enhancing the benefits received from the machine you select. The investment made in purchasing one of their devices can pay off for you health-wise throughout your lifetime. 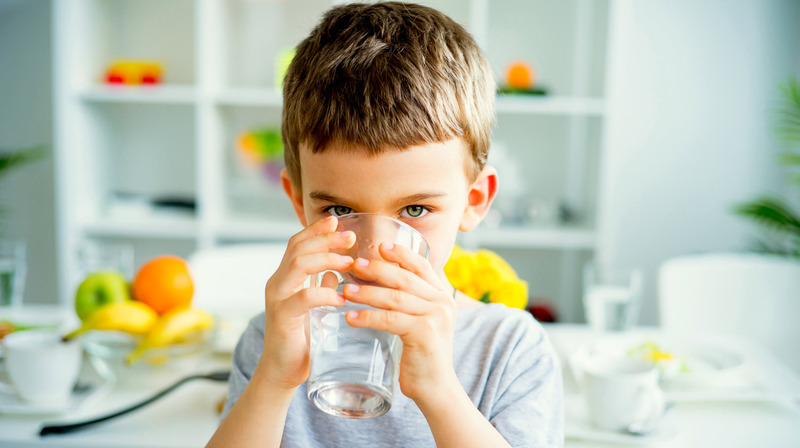 If the health benefits and the promise provided by ongoing research into alkaline water excites you, buying a water ionizer can be the right move. Make sure you research products on the market. Look for quality in the construction of the machine and the service provided by the company responsible for its creation. They should be able to deliver on any promises made while educating you honestly and professionally on the benefits you will receive. Highly acidic people will greatly benefit from regularly consuming alkaline water. It prevents dehydration which can lead to mild to severe complications. You don’t need sophisticated equipment to ionize water either. Tyent provides alkaline water machines that can process your tap water at home. You can also opt for portable ionizers when you’re traveling. It’s a great way to stay well-stocked with alkaline water even when you’re away from home. What benefits have you experienced with drinking ionize water? Share your thoughts in the comments section below!